Unique Moments Photography captures the majority of our ring shots with a macro Lens. The lens allows us to get on top of the jewelry and get great detail from the rings. Photographing the rings on the hands has really gone out of style in favor of the closer more detailed macro shots. 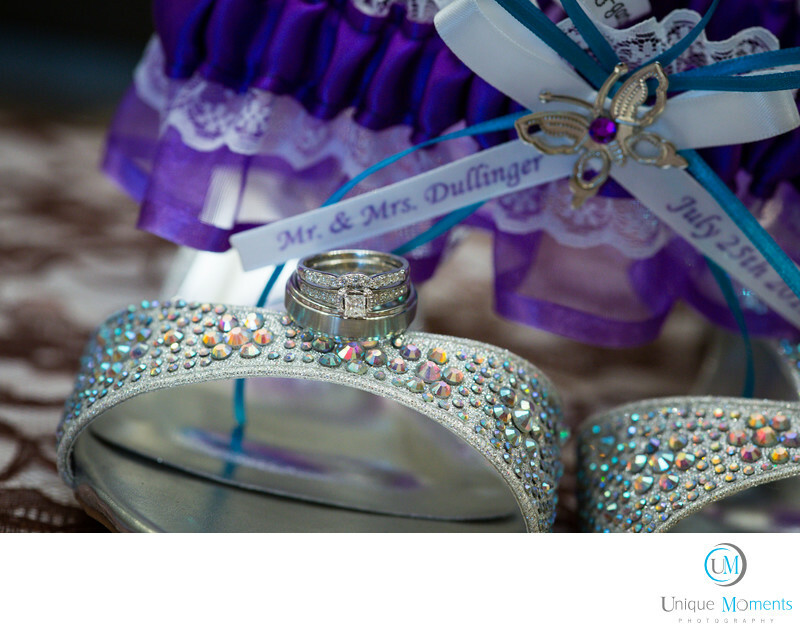 We always capture them with all the detail work and try to capture the rings when the Bride is getting ready.